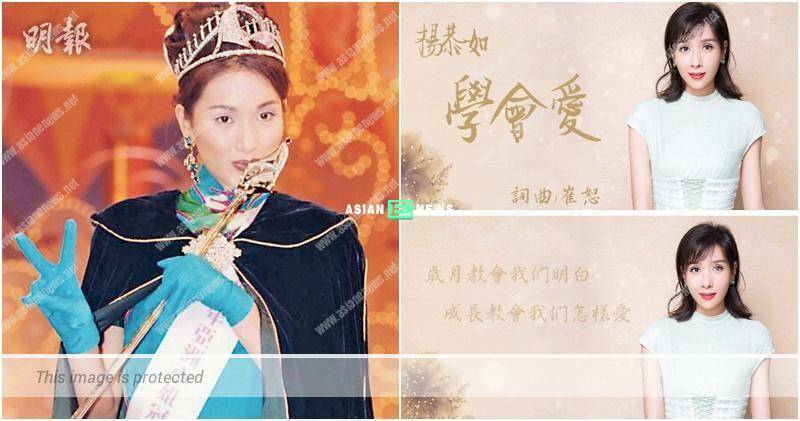 Kristy Yang (楊恭如) won Miss Asia Pageant beauty contest organised by ATV in 1995. She is currently 44 years old and films many drama, movies and participates in variety shows. Kristy has been focusing on her career in China in recent years. On 2nd August 2018, Linfair Records (福茂唱片) posted the lyrics version of Kristy’s new song (學會愛) on their Facebook account. Apparently, it invites renowned music composer to tailor made the song for her so as to express her love. Ever wonder if it represents Kristy’s story?